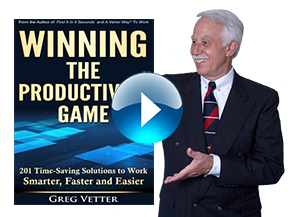 Eliminate Your Gray Areas | Vetter Productivity, Inc.
• Departmental confusion thinking it is the other group’s job to do. • Tasks falling through the cracks due to the uncertainty as to whose job it is. • Issues not being addressed that are causing a lack of productivity. • A duplication and crossover of duties. • Things that other groups are doing or not doing that are causing confusion. 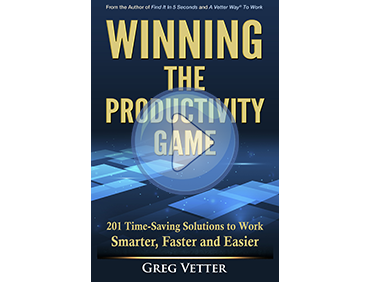 • Eliminate gray areas and the confusion caused by the overlapping of job and departmental responsibilities. • Clarify the role and responsibilities for each group or department. • Remain on track due to a clearer sense of direction while wasting less time and energy. • Enable communication to stay open with all other groups and departments. • Eliminate the confusion of whose responsibility it is. • Clarify accurate departmental job descriptions of yours and others. This totally interactive workshop will help define how your team, department and organization work together. It helps employees be more productive by clearly establishing what each department’s roles are and the roles of their personnel. At the conclusion of the workshop, your specific procedures will have been decided upon, recorded and ready to be implemented the very next day. • Participants are asked to answer a questionnaire prior to the workshop listing the challenges they are having with other departments. • A participant will record the agreed upon solutions and changes.